This is going to be big…very big. Or at least, we hope it is! We’ve got the official go-ahead to try and get Halifax into the Guinness Book of World Records for staging the largest ever gathering of people dressed as snowmen! Yes, you read that right. And yes, we need your help! The current record is 489, so we’ve ordered 750 top hats and 750 carrot noses as well as booking a face painter or two. If you’d like to play your part, come dressed in white if you can, or grab one of our white paper decorating suits if not. To officially count, you’ll need to wear a white long-sleeved top with 3 black dots for buttons, white trousers, a carrot nose, top hat and scarf. We’re expecting lots of media, so this is a great chance to get your face in the local news for helping put Halifax on the world map! 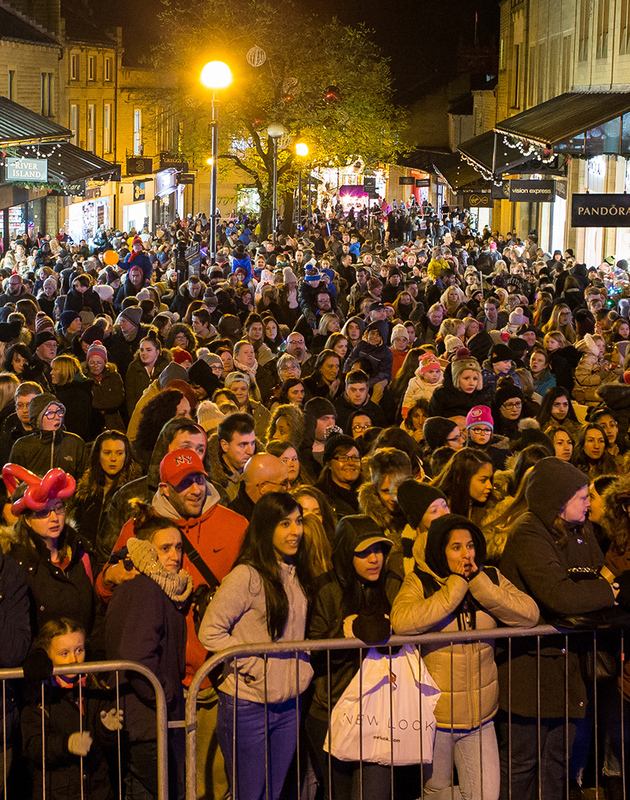 We’ll be dishing out numbered wristbands you can keep as souvenirs, and you’ll be right in the thick of all the activity and excitement surrounding the big Christmas Lights Switch On taking place on the same day. Oh, and please come wearing an old scarf if you have one, because we’ll be donating your leftover woolies to local shelters at the end of the event. So, it’s a fun-filled festive freeze-up with added feel-good factor. Brrrrrrilliant! When: 24th November, 2pm (we recommend arriving earlier though).